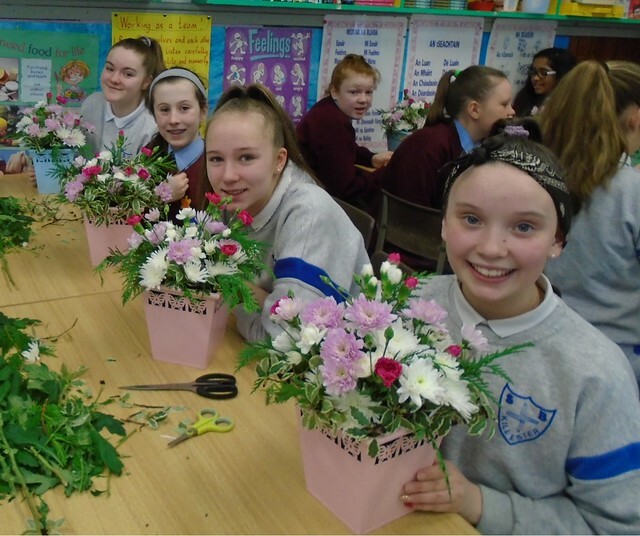 The two 6th classes enjoyed a flower arranging class on Friday last where they made up individual flower arrangements to give to their Mums for Mother's Day. A big thank you to Catherine who offered the class to the girls. The girls put in a huge effort to make the finished arrangements! Happy Mother's Day!